b) What a good idea! So ideal for travelling/life! Upon receiving the order I would say that they are a jolly good idea indeed. These are the kind of eyeshadows I should be buying because the wee pan size actually has a chance at being enjoyed and used up. Amber (pictured right) is, however, not what I expected. It is more earth toned and not as warm as I have pictured it in my head. That's not to say I don't like it - those bland-o-rama beige shades are life. A more balanced palette is Burgundy. This has a well thought out mix of warm and cool shades and has a stronger visual "pop". It's just beautiful. The only snag is that you may already own quite a few of the shades already: Honey Lust/Quarry/Antiqued/Star Violet/Haux/Embark and Sketch. That didn't stop me but the non-hoarders amongst you may be more sensible and not see the point of duplication. Right I haven't made up my mind about this. It's a new release (in the UK) for MAC and supposedly provides 24-hour wear in a weightless, waterproof, highly blendable formula that can work as either foundation and/or concealer. I bought NC25 and I have worn it 5 times. NC25 is very pale yellow and it scares me when it goes on but in it's favour is the blendability and the fact that at first, it doesn't look heavy. My issue with this foundation though is how it wears. It's a semi-matte finish and it almost seems to make my skin look drier as the day goes on, pooling in the pores and making it blindingly obvious that my face is covered in slap. At this point I feel highly self-conscious and want to reach for the makeup remover. I think I will give it a whirl tomorrow with a pore-filling primer and see if that makes any difference! The fact that I don't immediately love it does however not bode well. I was fully intending NOT to buy much else but I stumbled across a Space NK in Victoria - when did that appear? - when I was on my way to catch my train and I felt like it was divine intervention ordering me to pick up the one product I had been been seriously lemming. Luna sounds like marvellous. It claims to pretty much do it all - reduce pore size, improve the appearances of pigmentation and help fight wrinkles. I was particularly interested in these because of the advanced retinol complex that it claims to have. Retinol and night oils seem like an unusual combination. It is blue - so when you apply it there is a Smurf Factor to content with. This however quickly dissipates to leave you with a shiny, oily face until morning. I have only used it three times but I am convinced that it has done "something". Every morning I rush to the mirror to see if there has been a dramatic transformation overnight. I may be imagining things but my skin is far clearer and more even. Although Good Genes and Luna are different products I feel like Luna is better value for money (Good Genes looks like one of those products that will be all too quickly consumed) and whether true or not, makes a bigger (more positive) impact. You're going to be shocked but when these were first presented to us on social media I dismissively declared myself "not interested". I didn't like the concept - not being a major fan of that whole dual intensity texture that I have experienced in the eyeshadow version - and the colour combinations were a tad ugly, with shades seemingly lacking co-ordination. And then I saw them in real life and got all weak in the knees. I do find these a little difficult to control/work with though. It doesn't help that should you wish to target a specific blush shade you have to snake your brush vertically, in an awkward action, to pick up the product. Then there's the fact that although you can use these wet or dry - the former being preferable if you want any colour delivered - a damp brush often results in an overload of pigmentation. I'm a little sad that this is the last of the UK shopping confession posts - because it means that the holiday is over and I am back in Dubai. I have been looking at it for ages but didn't want to order online, especially as so many people complain about the smell of Good Genes! Turns out its not that bad and I don't regret the spends….Luna is however a great product: I can feel it already! 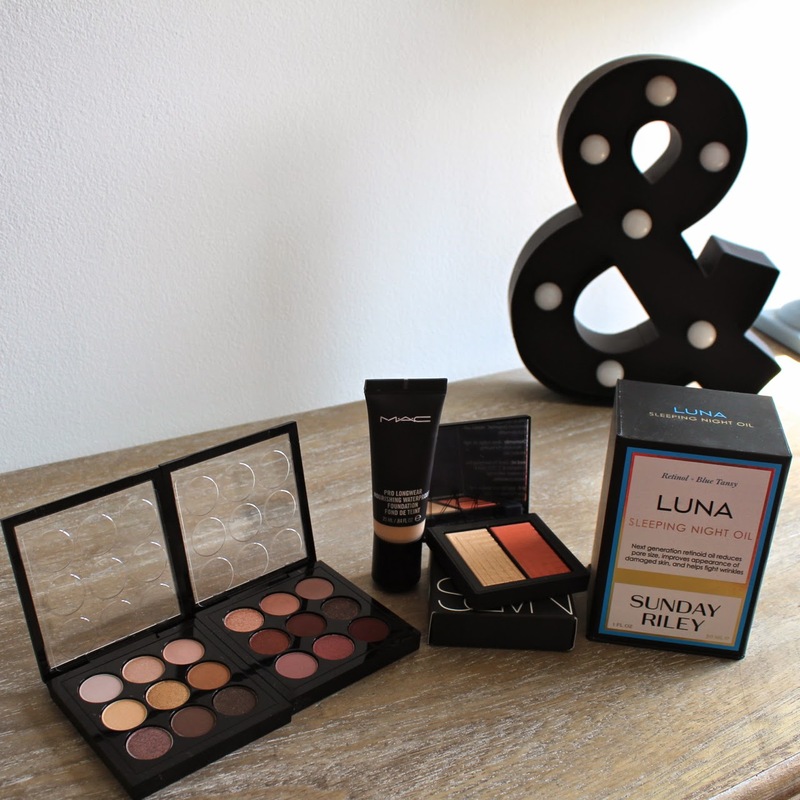 Thank you for the hint, I won't reading this blog ;) But I read your blog ... and want now at least the palettes, too ;) Thank you nevertheless for sharing! The palettes are beauts! :) I definitely recommend picking up at least one - if not for yourself then they make a great gift. I went into MAC intending to buy the Pro-long concealer but the MUA insisted I try their new foundation as a concealer and I'm really not liking it. I agree it's so drying and for me it accentuates everything and makes me look as if I'm 10 years older. Someday I'll learn to stick to my "shopping list" haha. Thanks for the tip about the ice creams. I'm visiting the UK right now also after 5 years away and I agree everything seems so different! It was a shock for me when I went to the Birmingham Bullring and shops had closed down, new ones opened, and I felt a bit lonely seeing the changes (I went by myself with my son). The MAC palettes are to die for! The colours are gorgeous! I pretty much can't read Stacey's blog at all, my bank account just doesn't agree. But everyone needs that palette in their lives, just human rights! I actually really want that 'boring' beige MAC palette - it looks like it has the perfect everyday shades for me! Such a shame about the new MAC foundation. I'll admit, I've never been a huge fan of MAC foundations as they seem to sit a bit weirdly on my face, which is a shame because it works wonders for some people (maybe it's the fact that my skin tends to be on the dry side?). The MAC palettes are so, so lovely! Luna is totally on top of my wishlist-am hoping to get it in the States next month. I did try to get my bestie to bring me one from the UK last month but Space NK was sold out online so I couldn't get it to her in time. I am going through Good Genes so quickly! I know you didn't like ANR so much either like me so I am guessing we may have similar skin types especially if you are liking Good Genes. Disappointing about the MAC foundation-but having said that the original Pro Longwear is the only one I like-nothing else from MAC sits well on my skin. I had been tempted to pick this up though. I love Sunday Riley as a brand, their products are amazing! And new MAC foundation is fast becoming my holy grail! Oh man those mac shadows are hard to resist. The new MAC palettes look seriously beautiful! Perfect for travelling! 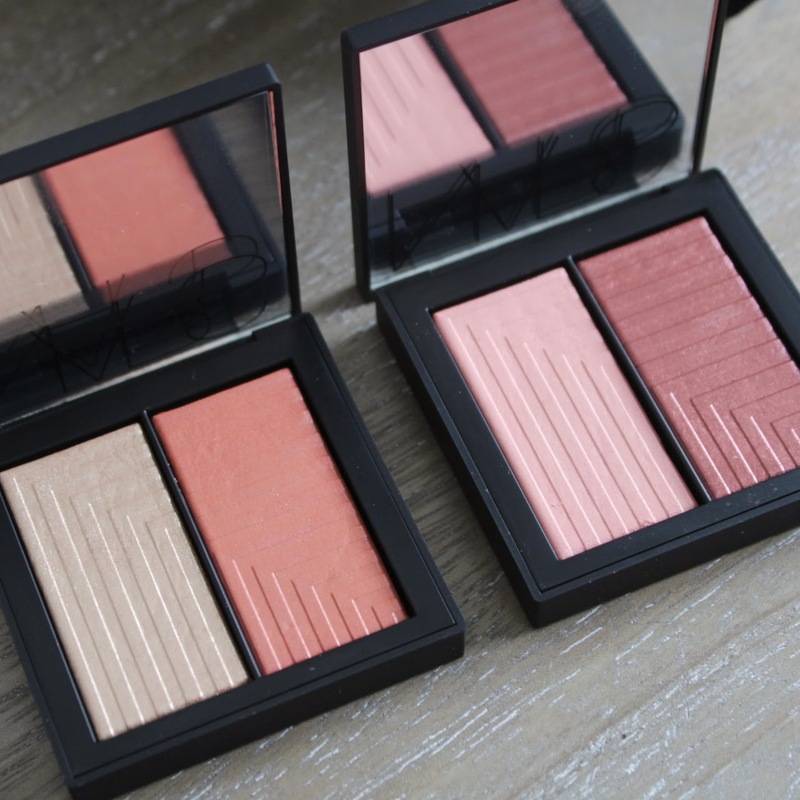 Love those NARS duos too! I always love seeing your purchases. 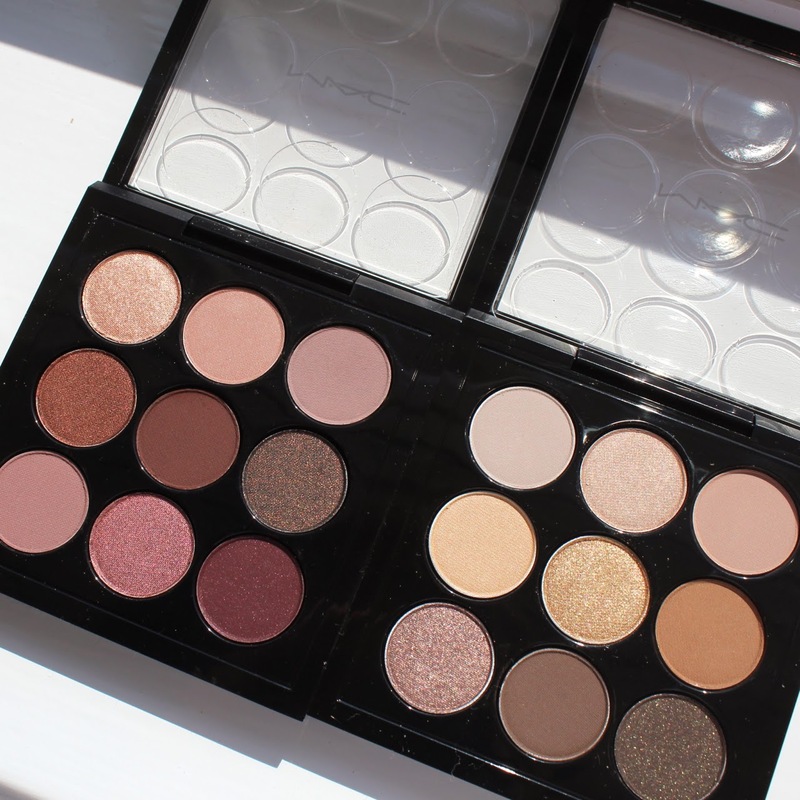 I need these MAC palettes in my life ASAP! I hope Luna is good for you, I tried the Good Genes and wasn't impressed! We understand that some people may experience some issues with False eyelashes, therefore our R&D team and technicists are on hand to help with any queries or questions that you may have. Before gluing the mink eyelashes on, please check and size the lashes. You have to make sure that the eyelashes are not too wide for your eye. Hold the eyelash strips up against your eyelid, and trim them down on the sides if it is necessary.